I Love My Amazing Animals: I went "window shopping" again!!! I went "window shopping" again!!! Hey everyone! I went "window shopping" again with Penny and her sister the other day! I found some cute things that again I thought some of my bloggy friends would like! The good thing about about this great department store is that they keep changing up the pet section and I'm wondering if they are doing it just for me!!! LOL Oh, I just crack myself up!!! 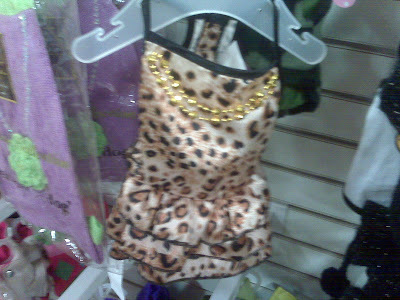 This little dress I thought would be perfect for Lorenza! This four-legged cook book is perfect for Kryra and Khousin Merdie at Khyras Khorner! Lastly, I thought Ina could put this picture in her office!!! Hmmm, I wonder who I will go "window shopping" for next!!! 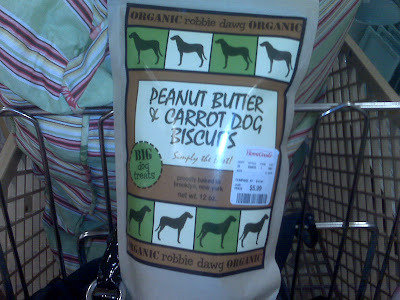 Our dogs only get organic food. Great post!! I'm starting to become hooked to your window shopping posts. Does that mean I'm becoming a window shopaholic? Today I saw Burberry girl dog diapers!!! Who would you gift those to? Thanks fur shopping fur us! Of khoures, the khat tshirt has a difFURent meaning fur Merdie and me! Thanks for finding it for me! 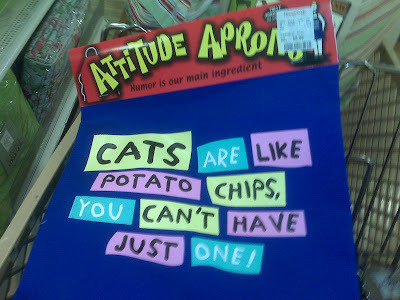 Looks like a great time; I love shopping at the pet store! We love your window shopping, It is fun to see your finds and yes, the dress would be GREAT for Lorenza!! She would look so cool in it!! Those are some great new things you found in the window. We love window shopping with you!!! You find the best deals!!! Mom and I had a good lol and mol. We are having corn beef, cabbage, carrots, new potatoes and corn bread for supper. WOO~HOO a furry own apron for us! And it is SOOOO true! Thanx for thinking of us! We hope you have a great St. Paddy's Day~! Too much fun. We would love that bed. It looks so soft & comfy. You guys have the best of fun window shopping! You find the perfect gifts for everyone. Perhaps you should consider becoming personal shoppers like you get in the big fancy stores! We liked the look of those yummy treats. this is the third time i'm posting and i hope it's third time lucky!!! 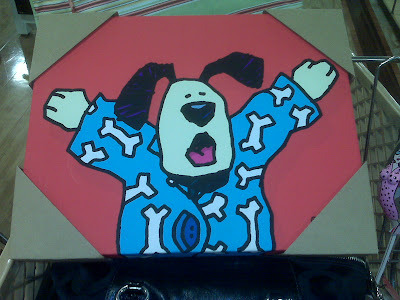 you do select the most pawsome gifts! may i go window shopping with you the next time?????? 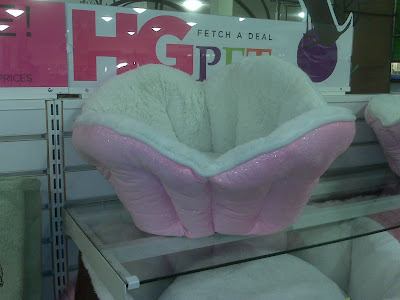 WE love the princess bed...of course! 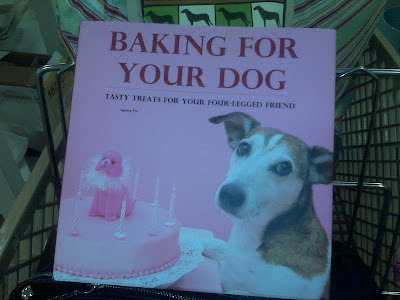 I think the cook book could work in a lot of households - dogs sure love their cookies! Looks like you've got a lot to choose from at this store! Oh wow, you all have great taste for all these pups. Of course, you are so right - we would love those pb and carrot treats - thank you for thinking of us - sorry to be so late in getting here - busy day here yesterday. Now to get Mom to get out and get some of those treats. What wonderful goodies. I LOVE window shopping for cute doggie clothes. They would all look fantastic on my Chinese Crested but our budget doesn't allow it. Still it's fun to look. Thanks for sharing the photos.